With a blizzard of festival and television appearances in 2010 ranging from Coachella to the MTV VMA’s, Toronto’s Joel Zimmerman a.k.a. 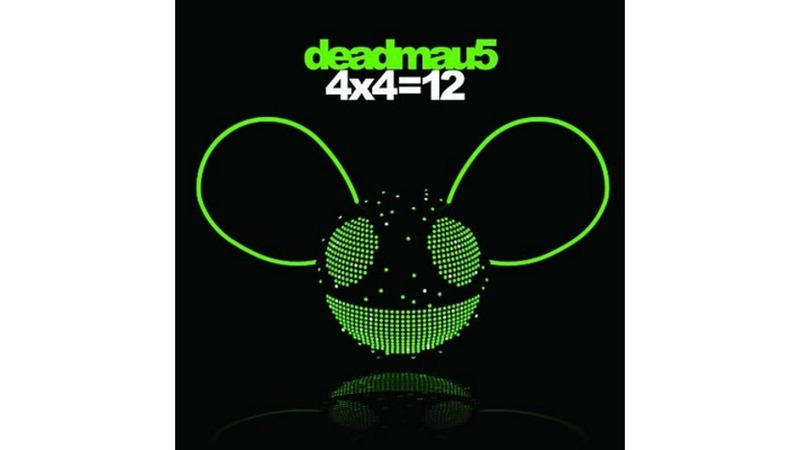 Deadmau5 has emphatically joined the short list of dance-music auteurs known to those outside dance-music circles. As a result, this month’s mathematically-challenged release has been met with deserved anticipation. With the spotlight on him, Deadmau5 unfurls chameleon colors, zipping from more Teutonic house-oriented long-jams like “Some Chords” or “Everything Before” to more hook-hop inflected cuts like “Sofi Needs A Ladder” or the grimey “One Trick Pony.” The latter are cool maybe despite themselves—unlike, say, DJ Shadow, who’s more fully at home in funkier idioms, Deadmau5’s tech-austere instincts clash a bit with the sexed-up vocal performances of his female guests. Still, his range is admirable and 4 × 4 appropriates just enough familiar tone to act as a mainstream dance sampler for the under-initiated.